Terrasse Nayabashi Branch, Ogaki Kyoritsu Bank Ltd.
Nagoya Ekimae Branch, Aichi Bank, Ltd.
Futaba Surface Finishing M&M (Jiang Men) Co., Ltd. Reorganized to joint-stock company “Futaba Shokai”. office to Miyuki-honmachidori, Nishi-ku, Nagoya. Changed the registered name to “Futaba Sangyo Co., Ltd.”. Transferred its registered office to Shima-cho, Nakamura-ku, Nagoya. Increased the capital to 18 million Yen. Appointed Norifumi Kasama to the president & CEO. Started operation of foreign trading. Established Planning & Development Dept. Atsushi Kasama was appointed to the president & CEO. Granted certification as “Nagoya-city Ecological business establishment”. Established “Futaba Sangyo (HK) Co., Ltd,” in Hong Kong. Obtained whole share of Fit Co., Ltd. Transferred its office to Hanasakidai (Techno Hill Nagoya), Moriyama-ku, Nagoya. 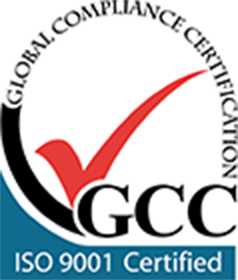 Granted certification as “Aichi Quality Company”. Established “Futaba Surface Finishing M&M (Shen Zhen) Co., Ltd.” in Shen Zehen, China. Established “Futaba Surface Finishing M&M (Jiang Men) Co., Ltd.” in Jiang Men, China. Established “Futaba IS Co., Ltd.” in Bangkok, Thailand. Dept., Jig Manufacturing Dept., and Equipment Dept. 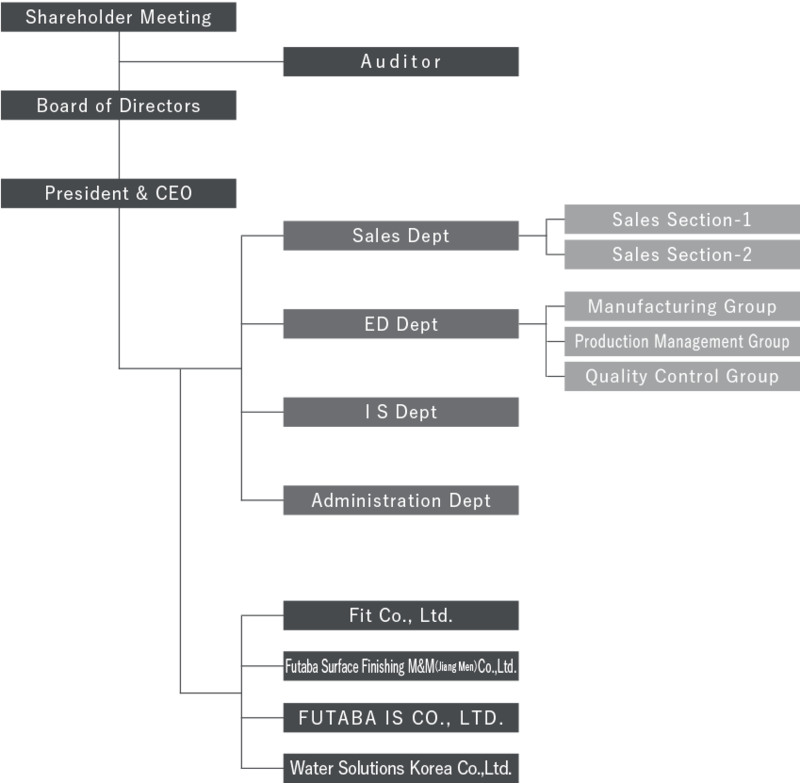 Acquired shares of Water Solution Korea Co., Ltd., making it a wholly owned company. All our employees and their families can enjoy their daily lives in a comfortable way with peace in mind. Our company and every related person with our company can achieve a feeling of satisfaction. For steady and sustainable development, harmonize among human・environment・society・company. Modification of the surface will change the products and consequently change the world. Integrated Solutions : Evolve the surface treatment by application of various elements and factors. Challenge to any work in full faith. Behave with clean and gentle manner. Take initiative with thinking by ourselves and challenge to everything. Perform progressive activities for the customers. Cooperate with other staffs and respect other staffs. Create value in collaboration with business partners. Make it our pleasure to work for others. them with high performance products meeting their needs steadily. We sincerely declare to comply with the following matters to realize our “Quality Policy” stated above. 1. Provide quality goods which satisfy the needs of our customers. 2. Strictly comply with any applicable laws and our own procedures and specification we stipulated. 3. Set-up our quality target and accomplish this quality target with reviewing it as necessary. 4. Apply continuous improvement of effectiveness of “Quality Management System”. 5. Review this “Quality Policy” occasionally to maintain its appropriateness. 6. Keep all employees informed about this “Quality Policy”. under enough recognition of the influences on the environment. technically and economically to reduce the load to the environment. (1) Save national resources and energy and enhance re-use. (2) Apply adequate waste water treatment and reduce the generated amount of the wastes. (3) Apply adequate treatment for wasted materials and reduce the generated amount of the wastes. (4) Develop and promote environment-conscious technologies and products. 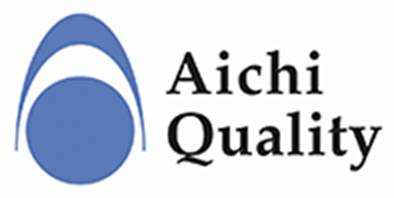 management as “Aichi Quality Company”. “Ecological business” and supports its self-motivating challenge. with the environment in mind. assurance of products and services. management under the consideration of sustainability. Futaba Surface Finishing M&M Co., Ltd.
Water Solutions Korea Co., Ltd.